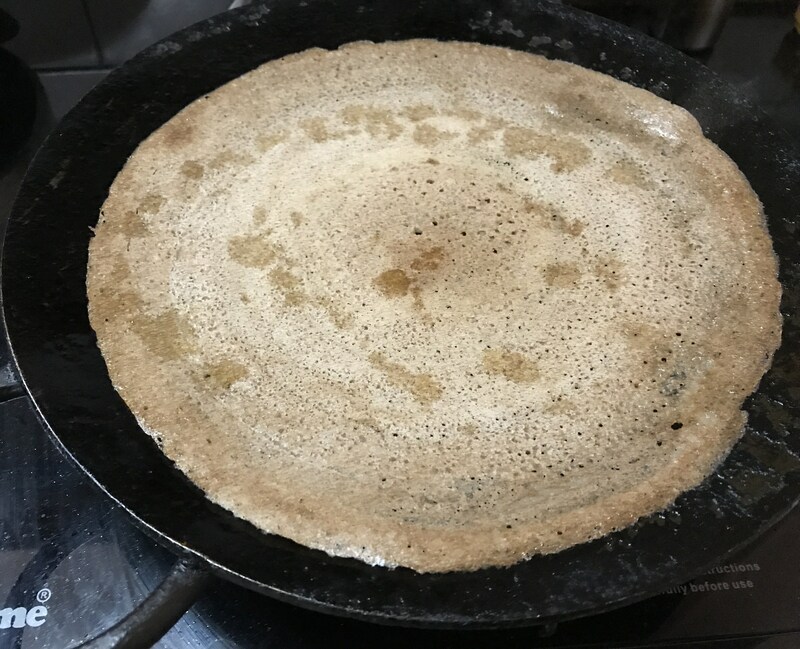 In the list of traditional or native rice varieties of Tamilnadu, my attempt in making dosais continues with Kudavaazhai/Kudavaalai Arisi. In terms of the Glycemic Index (GI) it is seen that all indigenous varieties have a GI that lower than the modern variety. 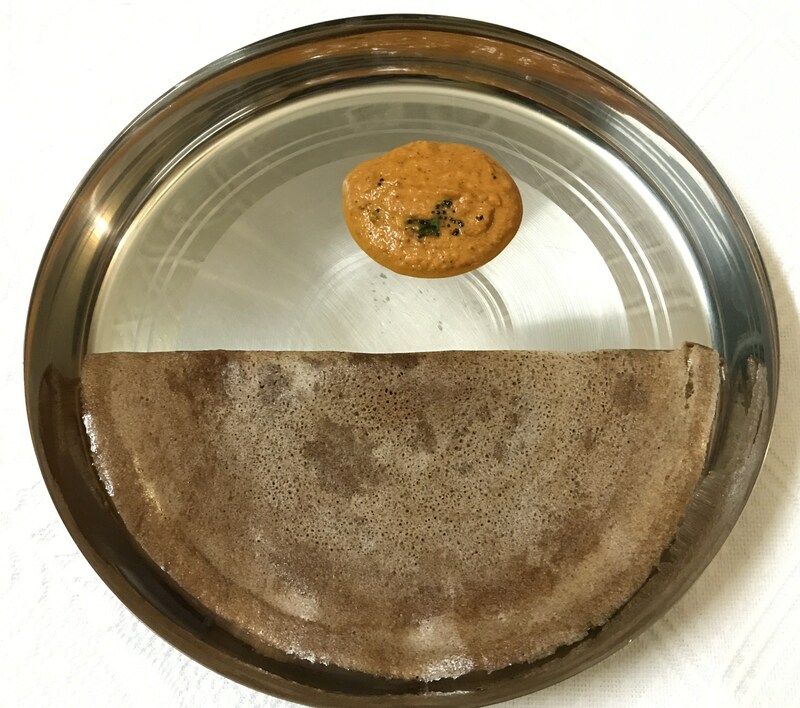 When the GI of the indigenous variety is compared to the modern variety White Ponni, on a scale when the GI of White Ponni is 100, it was found that the GI of Kullakar, Kovuni, Karungkuruvai and Kalanamak are in the range 50-55 while Mapillai Samba and Kudaivazhai are in the range of 66 – 70. These websites provide insights regarding native rice, along with those activists who have been greatly encouraging the spread of such native rice varieties among common people. These enthusiasts have been influential in introducing the grains to farmers, which has been gaining support and confidence among various groups to give a new boom to indigenous rice varieties. 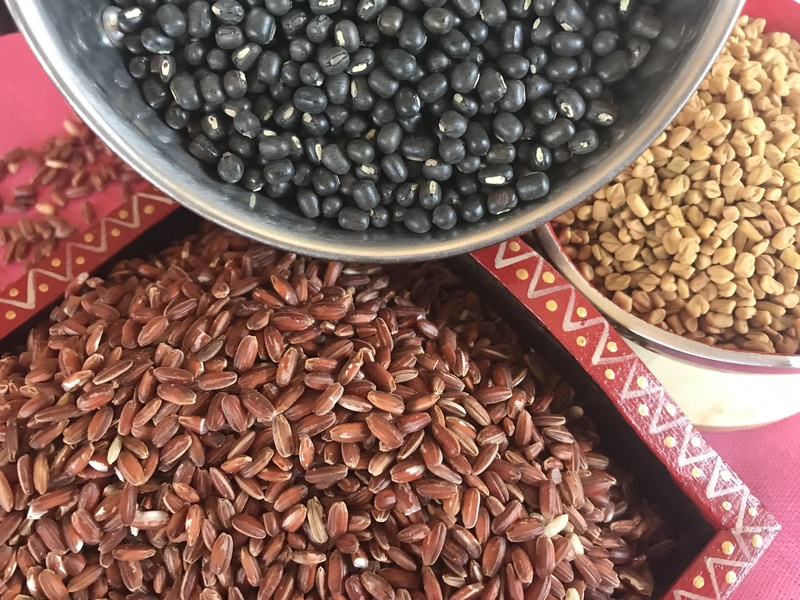 What we need to know about these native rice varieties is that, these are all unprocessed brown, red or black rice. When we say ‘unprocessed’, it suggests that the nutrient value of the rice is intact and not polished away with the polishing of rice. 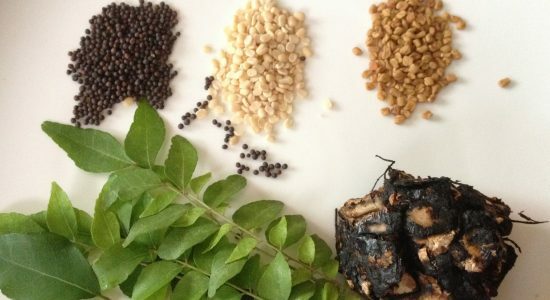 When the western world subscribes to a particular health ideology – the learned community of the various developing countries give respect to those ideas, not knowing their native food habits have referred to the same, several centuries earlier. 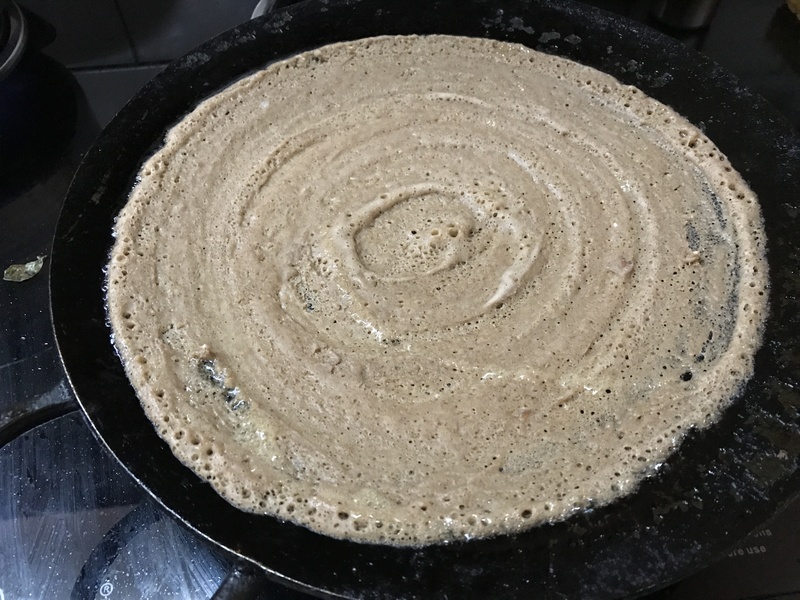 If we were smart enough to withstand the introduction of refined ready-made foods like pizza, pasta, burgers, noodles, parathas or the South Indian parottas- which are all made with refined flour – either from restaurants or made at home– we would have been a healthier society with less degenerative and life style related diseases. The above mentioned fact would easily translate as being stuck to native and traditional food practices, an easy way to healthy life and healthier generations. The unpolished black, red and brown rice varieties were replaced with polished white rice – devoid of many essential nutrients. The list would go on and on … White might be synonymous to flawless cleanliness – but certainly not for healthy living and healthy off springs to extend stronger branches to consecutive generations. This level of survival of our society is due to the strong roots provided by our ancestors. But, healthy survival of our off springs lies in the changes we would adopt towards fighting obesity and junk food habits. We haven’t yet realized that junk is filled in our kitchen cabinets in its purest form – WHITE. 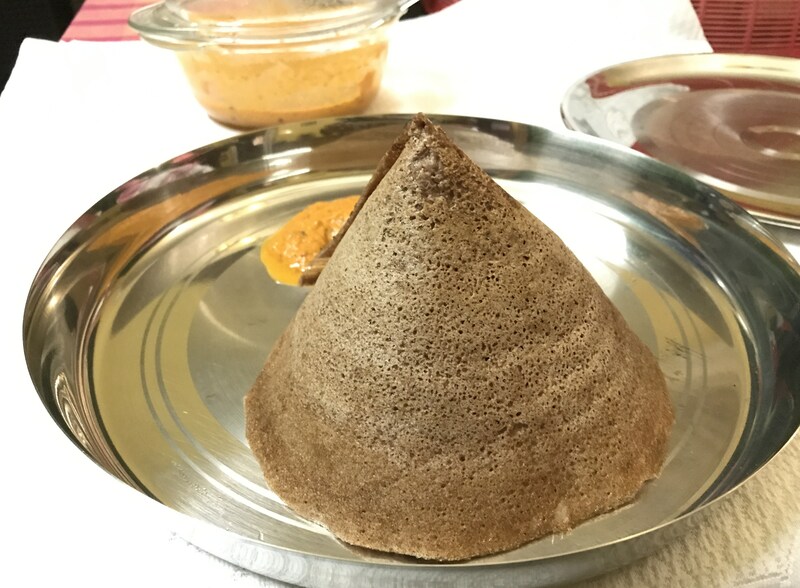 Let’s move on in our journey of healthy native rice based pancakes/dosais – this time – Kudavazhai Arisi Dosai. 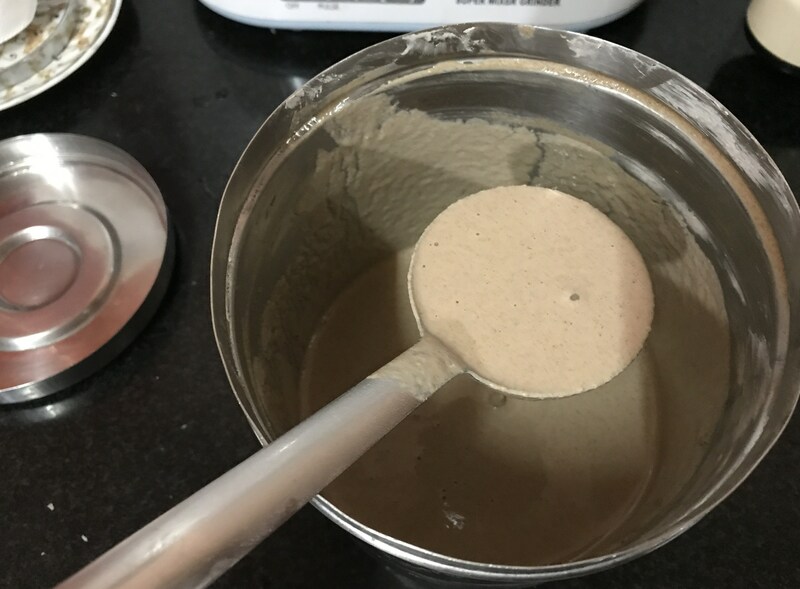 In other words, the rice variety which aids in well-being of intestines and protects against related ailments was named Kudavazhai or Kudavaalai. 1. Wash well Kudavazhai Arisi and black gram. 6. 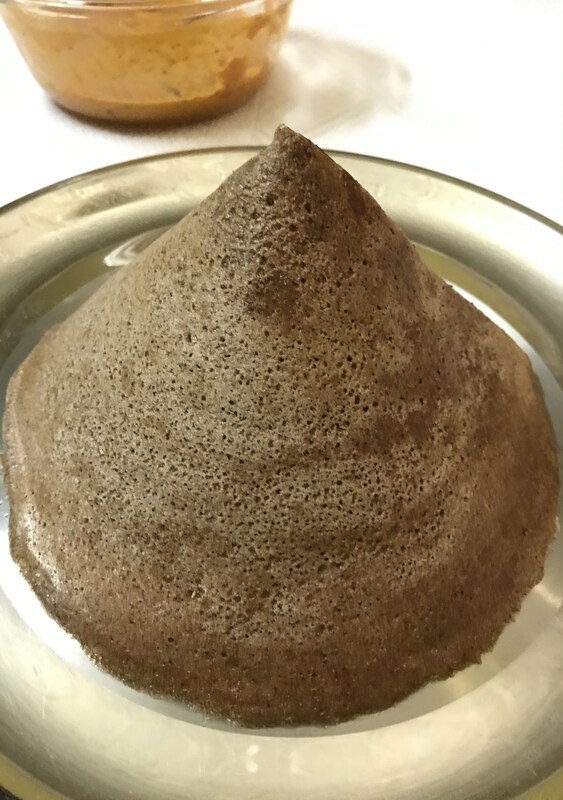 Make Kudavazhai Arisi Dosai crisp or soft and enjoy with any Thuvayal/chutney. 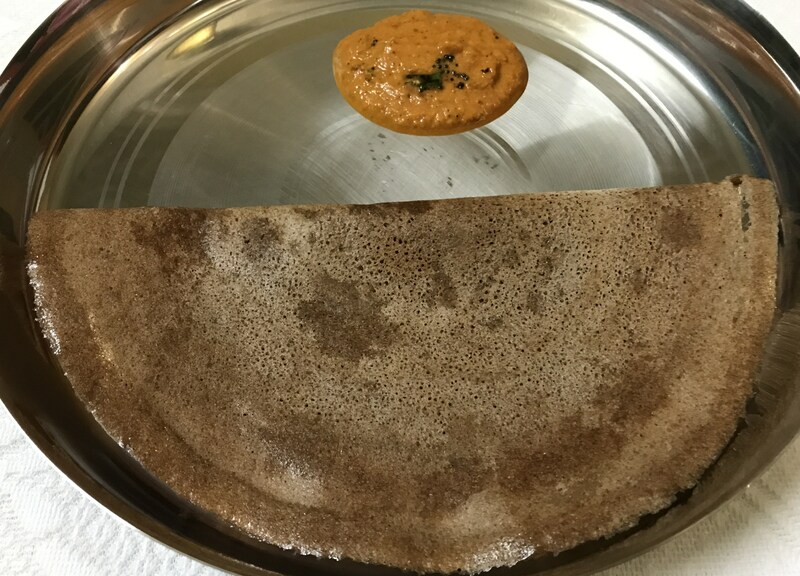 The Dosai comes out beautifully crisp that you can shape it yourself.